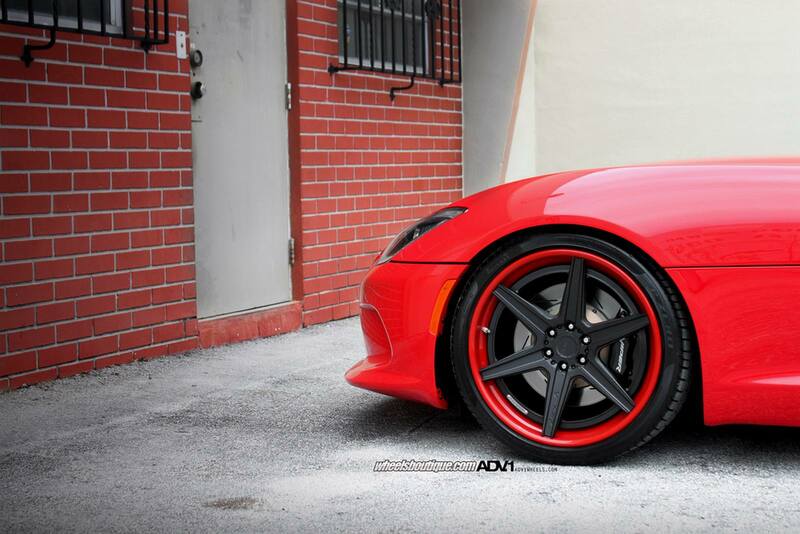 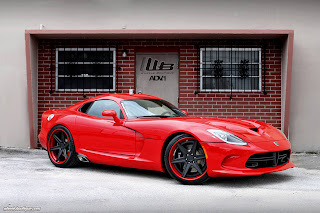 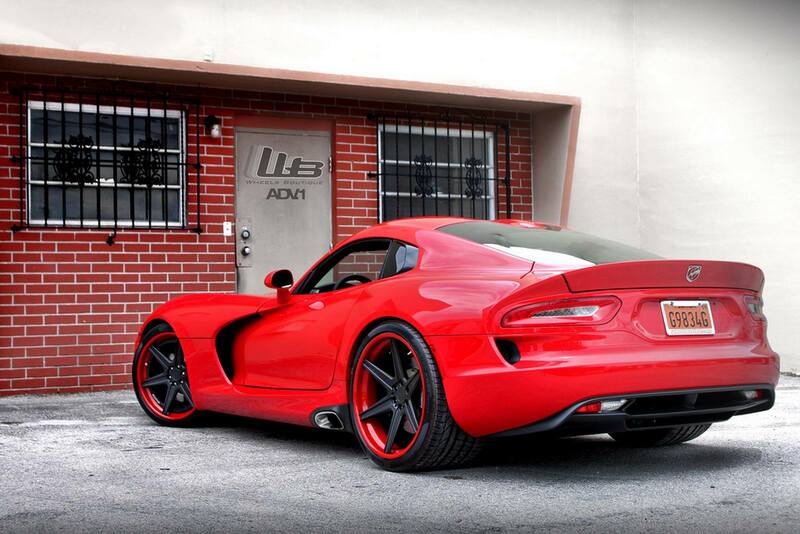 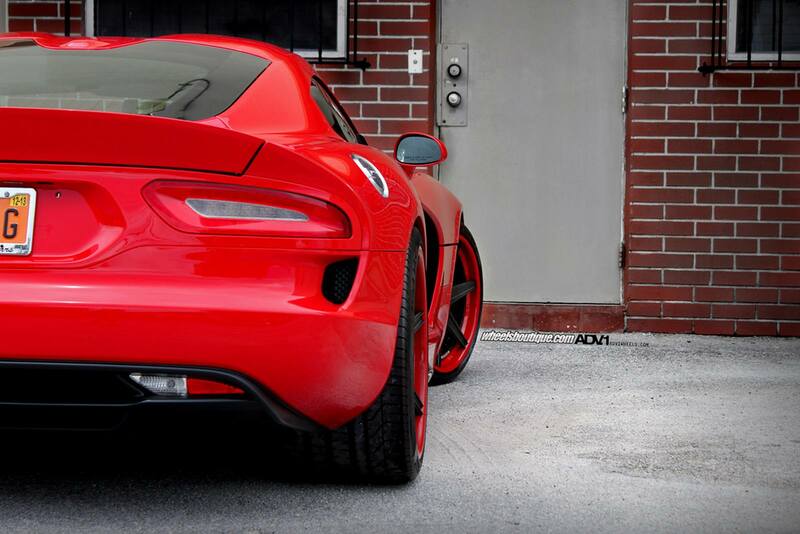 The team of Wheels Boutique has fitted a set of ADV.1 Wheels to a new red SRT Viper. WB ADV6 wheels have been created specifically for this Viper, and measure 20 inches at the front and 21 inches at the rear. 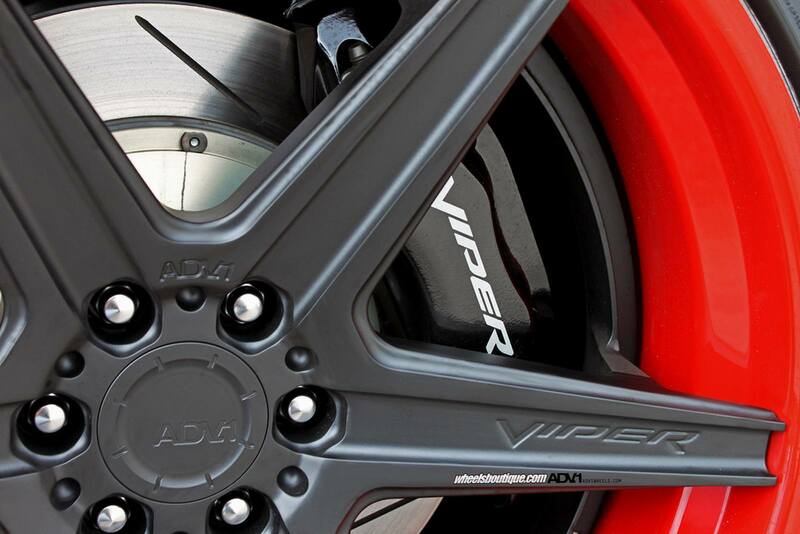 Il team Wheels Boutique ha montato un set di cerchi ADV.1 Wheels alla nuova SRT Viper rossa. 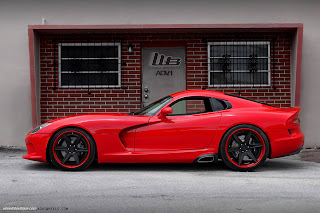 I cerchi WB ADV6 sono stati creati appositamente per questa Viper, e misurano 20 pollici all'anteriore e 21 al posteriore.